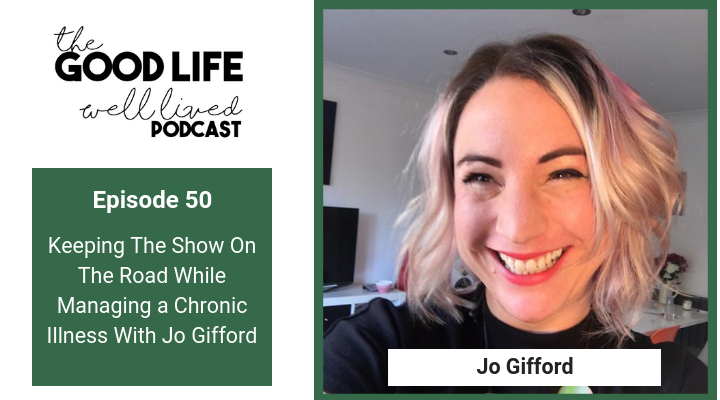 Welcome to The Good Life Well Lived podcast, today in episode 50 I am joined by Jo Gifford. Jo is a serial entrepreneur, writer and mother of twin girls. Jo juggles all of her projects around managing a number of chronic health conditions. In this episode we talk about what it’s really like to live with chronic health conditions and Jo shares amazing actionable tips on how to conserve and maintain energy and look after ourselves in the best way possible. Jo is a real inspiration to me and I know to many others. If you are managing long term health conditions I can guarantee that you will be uplifted and inspired but even if you are lucky enough to be in good health Jo’s advice on how to make the juggle a reality is amazing and well worth a listen.